« Digital Christmas sales have already begun! The digital adaptation of Mysterium is finally here! 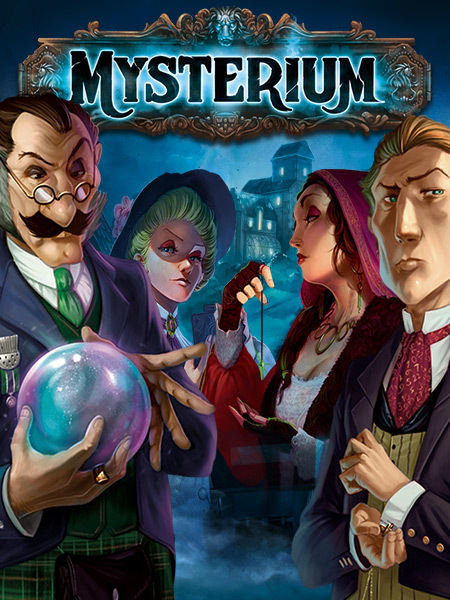 The digital adaptation of Mysterium is now available on your phone and tablet for $6.99! You can also play on your PC with Steam for $9.99. Travel back to the 1920s and shed light on the mystery that surrounds the murder of the Warwick Mansion ghost. Ghost or psychic, make your choice! Join the team of the brilliant clairvoyant Mr. MacDowell as a psychic for an exceptional séance! Lend a hand to the ghost haunting the walls of the Warwick Manor in his search for memories surrounding his suspicious death. Decipher the ghost’s visions and search for information on numerous leads in this atmospheric, innovative and immersive game. In Mysterium, you can also play as the ghost; unable to talk, he can only communicate with psychics through vision cards. Choose them carefully to help the psychics striving to bring peace to your troubled soul. Mysterium allows players from all over the world to investigate together in multiplayer mode. Cooperate through an in-game chat to point out visual clues on a card. Players can share their visions with other psychics and approve or reject their choices with Clairvoyance Tokens. In Mysterium, up to 7 players can join together for fun, engaging games. And for those who wish to enter the manor alone, the Story Mode offers the players the possibility to discover who killed the ghost, in which room and with what weapon through a several hours long investigation full of mystery and twists. Learn more about the game in this YouTube video. This entry was posted on Friday, January 13th, 2017 at 18:33 and is filed under Days of Wonder Online. You can follow any responses to this entry through the RSS 2.0 feed. Both comments and pings are currently closed.